Setting the mood of a space begins with color. Once you establish the color scheme of your space, you will begin to see the rest of the space come together. Certain colors evoke specific moods. Gray, for example, creates a cool, clean environment and yields to feeling refreshed. And a soft yellow brings life and energy. So, what colors help set the mood? These soft neutrals will keep your space light, bright, and airy, and allow for lots of fun textures and accent pieces. Whether you love rustic, rough wood details or cooler industrial fixes, a natural neutral wall color is the best backdrop to showcase your personal touch. 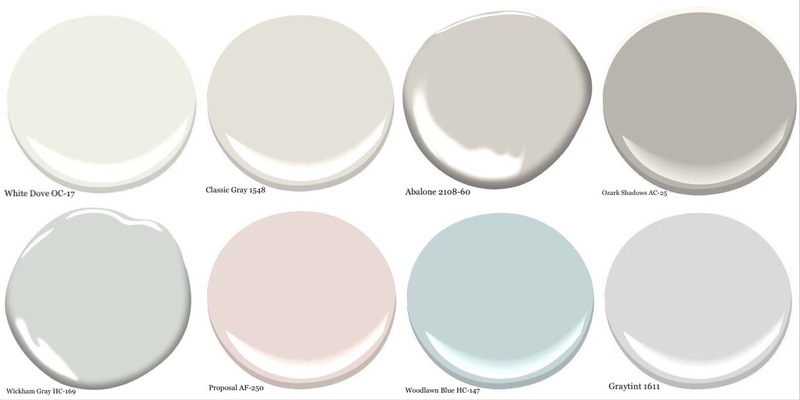 Crushing on these farmhouse colors? View our companion Pinterest board to learn how to use them in your house! Back when farming was a main source of income, homes on the farms would reflect the farmer’s utilitarian lifestyle. This is where our modern farmhouse originated. Homes weren’t made with the specific need to have a well-designed space, they were made to be lived in! And sticking to our roots, the new generations of the farm-style homes often stand by function and purpose. How can we incorporate that fundamental concept into modern design? A beautiful (and purposeful) home begins at the front door. Design your mudroom or entry space around how much you’ll use it. 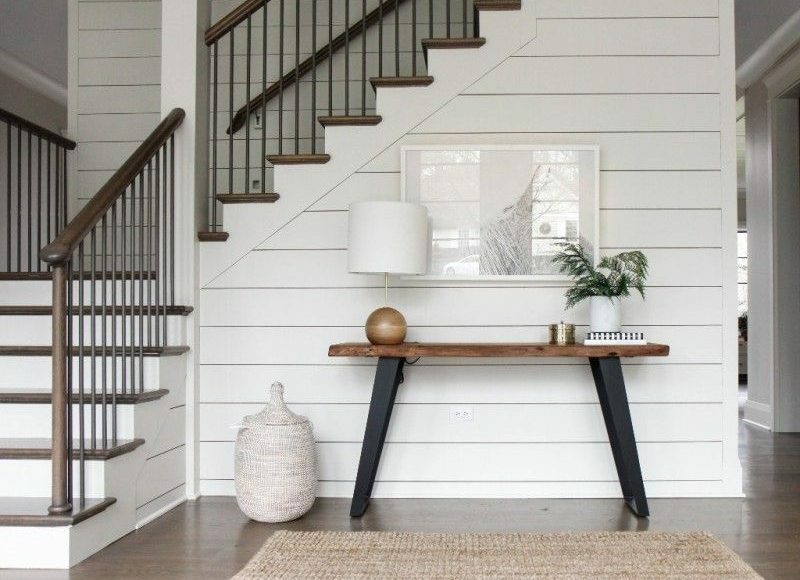 A repeated concept you’ll see in farmhouses is the placement of a bench in the foyer of the home. 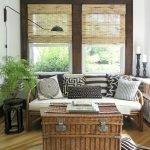 Whether the bench has under-seat storage, or coat hooks along the back, there is more than one use for this focal point. 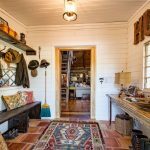 Heading into the kitchen, you’re bound to see plenty of storage space, easy access to other rooms of the house, and most popularly, a large farmhouse table. Durability goes hand-in-hand with function, and we certainly find that in our favorite kitchen or dining table. Using solid woods and a rugged urethane or paint, your farm table ought to withstand anything life brings. While this modern farmhouse kitchen lacks upper cabinets, there are subtly placed cabinets in the island to make up for lost space. Similar concepts apply to all main living areas, like family rooms and sitting rooms. With ample comfortable seating and cozy furnishings, these spaces are bound to be welcoming atmospheres. The arrangement of different design elements is what leads to a harmonious home. 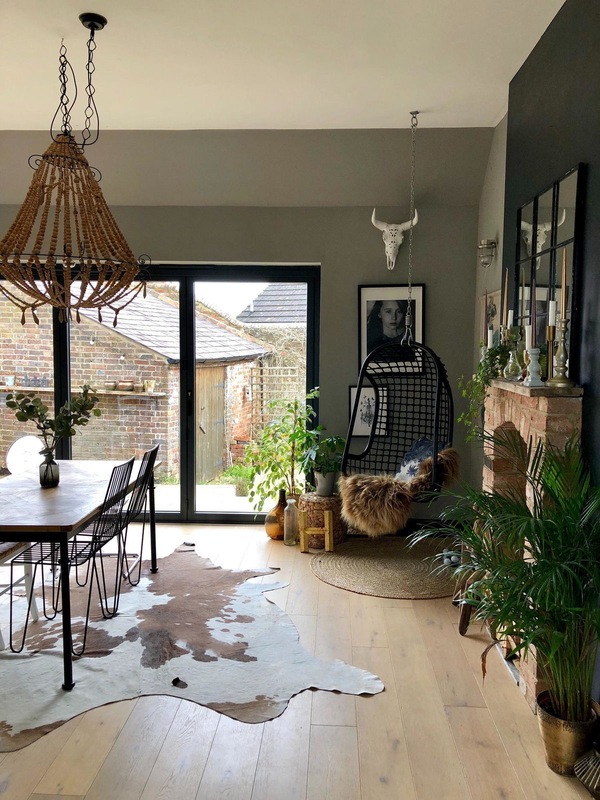 If you can find the right balance of rustic and suave elements, warm wood tones and industrial metal accents, and rugged yet soft furnishings, you’ll have all the essential pieces to complete your farmhouse. Finding harmony in color is subjective to your mood. 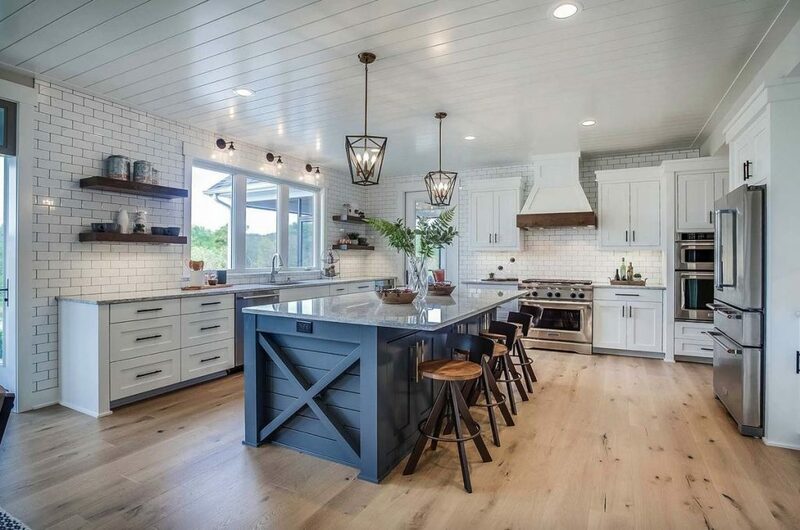 If you want a crisp and clean modern farmhouse, generally you’ll have a cool color palette (think: gray, blue, green and white). For a traditional or French country farmhouse, warmer colors are a must, such as creamy off-whites, blush pinks, and soft yellows. 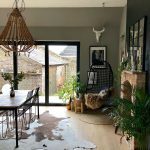 Transitioning from one room to the next must feel natural in a farmhouse. Oftentimes, the same color is used in every space. This allows the home to feel put together and intentional about it’s function. A great way to have a harmonious farmhouse is to incorporate little bits of the same few materials in every space. For example, use the same wood for your kitchen or dining tables and bed frames, accent tables, or even shelves. 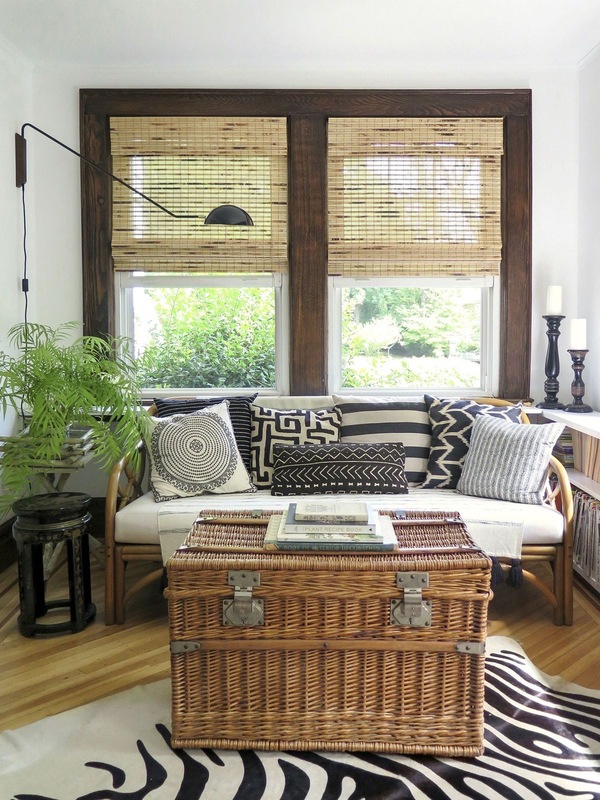 And if your light fixture in your entryway is cast iron, you can introduce black picture frames in your family room. Our do-it-yourself tutorial this month is a little more dynamic than others we’ve had. With this one DIY technique, you can achieve beautiful results with all kinds of pieces. A key feature in family rooms is the coffee table. 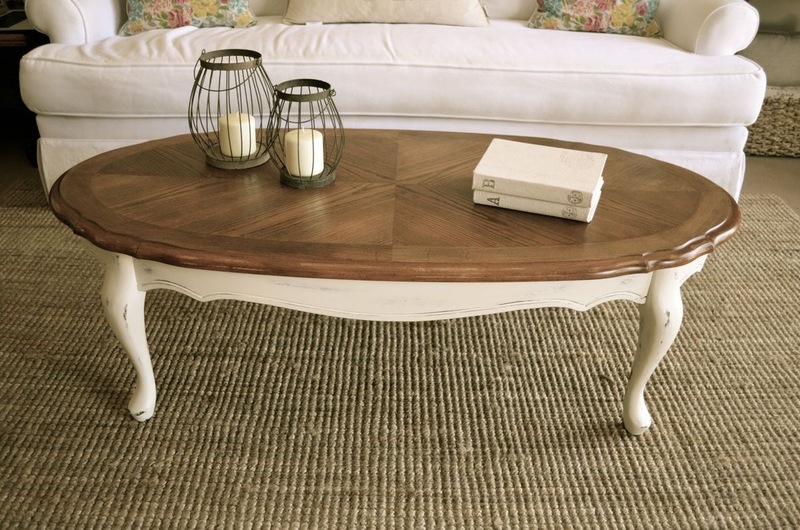 But finding the perfect farmhouse coffee table can be a challenge in itself due to the high demand and high price tag. But luckily, it’s not so hard to refinish and repurpose an old coffee table to fit the bill. 1. Wipe down and degrease all surfaces and make sure to use a non-residual cleaner. 2. Sand the table top down to the bare wood, and lightly scuff up the legs to allow for better adhesion. 3. Stain the table top with a high quality penetrating or wiping stain, like Old Master’s, for a rich natural-looking color. 4. Once the stain has dried, apply satin or semi-gloss clear urethane (oil or acrylic-based) for a durable protective coating. You’ll want to apply several coats of urethane for the best finish. Allow each coat to dry and don’t forget to lightly sand between coats! 5. Using a good chalk paint in the color of your choice, apply one or more coats of the rugged matte finish paint to the legs of the table. 6. (optional) Using a fine grit sandpaper, rough up some edges of the painted legs once the paint has dried at least 24 hours. This will give you a rustic, time-worn look. 7. Finish up your chalk painted table legs with a soft furniture wax to protect the paint from chipping or marking up. With these few instructions (and a little TLC), you can refinish and reuse any thrift store furniture in your very own farmhouse!